CTC, the national cyclists’ organisation, is the UK’s largest and oldest cycling body with more than 70,000 members and affiliates. 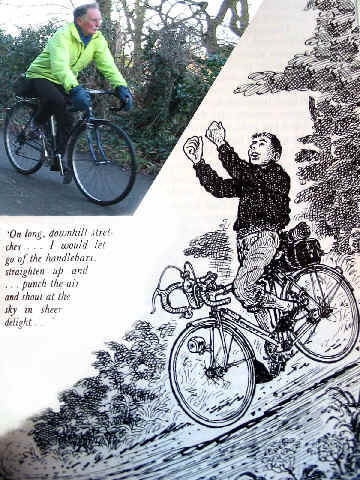 CTC was formed in 1878 and works for all cyclists, protecting their right to use the roads, working for improved offroad access and for better public transport links. Members enjoy free third-party insurance cover, legal and technical advice, route and travel information and access to more than 200 local groups and to national and regional CTC events. CTC is a non-profit making body run by an elected National Council and a team of professional staff. It has a network of District Associations all over the UK and more than 350 Right to Ride volunteers campaigning for better cycling facilities in their areas. For further information visit the CTC’s website www.ctc.org.uk or write to CTC, CTC, National Office, Parklands, Railton Road, Guildford. GU2 9JX Tel: 0870 873 0060.